This Wednesday another year will come to a close and with that another years worth of blog posts. Some of those posts you liked and some of those posts you didn't like, but let's take a look back at some of your favorite ones. 10. Reverse Engineering Church Planting. Most conversations revolving around church planting start with the notion of church. Planters and sending churches will commonly throw out the phrase, "Launch," as if one can just send a group of people to launch into a new city and call it a church plant. I am not against the idea of having a core team and believe you are stupid if you go at it completely alone, but the purpose of reverse engineering is back to a New Testament model where we start with Kingdom principles that lead to disciples, which then form a new church from the harvest. 9. Sharing the Gospel There and Then and Here and Now. During 2014 I commonly heard the question, "how do you share the gospel in India?" This question always struck me as odd as if there was a different way to share the gospel in a place like India then there was in the United States. The reality is that if the truth of the gospel has changed your life then you will share the gospel no matter the context. 8. Are You Operating As A Missionary?Many of my conversations with other spiritual leaders revolve around movements and paradigm shifts within the church that change the world. Being a missional Christian is a phrase that often comes up, which I love what being "missional" means as long as it is correctly defined. A short way to encompass what a missional Christian is one who embraces their role as everyday missionaries. Truthfully this should be how all followers of Christ operate so my question is often, "Can you be an obedient Christian and not be missional?" 7. "You're the Only Ones That Talk To Us..."The place where you live, your neighborhood is one of the main areas that you have been sent by God for a season as a missionary. If the people that live around only know you for the family that wakes up early on Sunday morning and is gone half of the day then there is something wrong. I am not saying I do everything right, I know that I do not, but this is a call for all of us to do the hard work of getting to know our neighbors and neighborhoods so that we can engage with them, love and serve them and ultimately make disciples of them. 6. 6 Lessons from My Time in Seminary. During the five years it took me to complete two masters degrees I learned many lessons, enough to write a book or at least discuss over a french press. The six lessons below are more of a starting piece for those just entering seminary. Some of the lessons below were advice given to me and some I learned as I went through out my studies. If you have been to seminary yourself then please feel free to comment below with any additional lessons that you think would be helpful to mention. 5. A Large Audience ≠ A Successful Church Plant. This one can be a bit controversial, but many church planting networks mistakenly think that just because a lead planter can gather a large audience that they have some how planted a successful church. 4. A Positive Shift For the Future of IMB/SBC. Platt gives me hope for the future of the largest and most historic missions agency in the world. It is exciting to see a man not much older than myself to take the reigns of such a large organization. Yes, he is only one man and ultimately Christ is in charge, but I believe that Platt is the chosen man for this next season of leading the IMB. 3. Attending Church with Children. Yes, many churches offer great children's ministries or forms of entertainment for your children so that you and all the other adults will not be bothered during your worship experience, but is it really all about that? Should a mother have to wait until their child is a certain age to feel like they can attend a gathering without being ridiculed? 2. When Christians Become Atheists. In the parable in Matthew 13:5-6, 20-21, Jesus gives us a vivd illustration of what happens when the gospel is sown on rocky ground. At first it appears as if the person is receptive to the gospel, but the gospel never actually takes root in their life and therefore fails to bear fruit. 1. Are Church Teachings on Homosexuality Driving Millennials Away From Faith? I, for one, love the people inside the LGBT community, I sincerely do. And I believe that people like Evans sincerely do as well and I am glad to hear that she is done arguing (I doubt it) and wants to move on to loving and serving people. But I do want all of those in the LGBT community and all my fellow evangelical millennials to know what the historical document of the Bible actually teaches. For Christmas I received The Sermon on the Mount Story of God Bible Commentary by Scot McKnight. This book made it on to many top ten missional book lists of the last year and one that I am looking forward to working through as I believe that the Sermon on the Mount exemplifies how we as Christians are to live here and now that it is not just for later. When he called his society together Jesus gave its members a new way of life to live. He gave them a new way to deal with offenders by forgiving them. He gave them a new way to deal with violence by suffering. He gave them a new way to deal with money by sharing it. He gave them a new way to deal with problems of leadership by drawing on the gift of every member, even the most humble. He gave them a new way to deal with corrupt society by building a new order, not smashing the old. He gave them a new pattern of relationship between man and woman, between parent and child, between master and slave, in which was made concrete radical new vision of what it means to be a human person. He gave them a new attitude toward the state and toward the "enemy nation." Merry Christmas! The blog may be on a bit of a vacation over the next week as I spend Christmas with my family, but look for new content soon and some early 2015 giveaways! In those days a decree went out from Caesar Augustus that all the world should be registered. This was the first registration when Quirinius was governor of Syria. And all went to be registered, each to his own town. And Joseph also went up from Galilee, from the town of Nazareth, to Judea, to the city of David, which is called Bethlehem, because he was of the house and lineage of David, to be registered with Mary, his betrothed, who was with child. And while they were there, the time came for her to give birth. And she gave birth to her firstborn son and wrapped him in swaddling cloths and laid him in a manger, because there was no place for them in the inn. In Ephesians 4 we are given the blueprint for Jesus' Church and what it should look like in its full state of unity and maturity. The problem is that for years the Western church has only focused on the role of teacher and shepherd, so much so that we have almost forgotten that there is any other roles within the church. Unless you grew up in an evangelical church like me then you probably also had an evangelist. The other three roles that are most often ignored in the church today are the apostles, prophets, and at times the evangelists. For most people, once this full picture of the church is realized it becomes a paradigm shift and if they are rightly understood and applied they should become a welcome gift to the church. Looking at these five roles, commonly referred to as APEST has been a very common language to me, so much so that I often forget that much of the church does ignore them. I was talking recently with a church planting catalyst from another church planting network and mentioned that part of the initial application process with the Table Network is an "Apest" test and he looked at me with confusion because he was unfamiliar with the terminology of the roles. I posted the below in an earlier blog post this year but felt that it would be helpful to give a brief definition and explanation of each of the gifts given in Ephesians 4. If taking an APEST test is something that interests you please get in contact with me and I can get you set up. It is extremely helpful for a person to see and for the record I am more of an apostle, evangelists, and teacher. Apostles: These are those who are sent ones. They desire to see the gospel of the Kingdom planted where others haven't gone; they are church planters. They are visionaries who see the blueprint for the church that will call God's people to live sent lives and who desire that everyday saints be released into domains to use their gifts to build up the Body. They protect the doctrine and the DNA of the Church. They are "Fatherly" and desire to see new leaders raised up (sons in the faith) and sent out. Prophets: These are those who are sensitive to the voice and Word of God. They hear from God and communicate God's word to God's people. They call God's people back to God and call God's people to live lives of holiness and justice. They care more about what God has to say than how man will take it. Often, they are our biggest prayer warriors. Evangelists: These are those who are outwardly focused. They desire to equip the Church in reaching their neighbors with the gospel. They desire the Church to both declare and demonstrate the gospel of the Kingdom. They love to spend time developing relationships with the un-churched and they give their lives to inviting people to be a part of God's family. Shepherds: These are those who care for the flock. They are concerned with the lives of the congregation. They are counselors, protecting the community that God has entrusted to them. They desire that the Church be a family, praying for, providing for and loving one another. Teacher: These have the gift to teach and use that gift to build the Church. They often love books and theology. They want the Church to grow into maturity by growing in the Knowledge of Jesus and his ways. They teach Scripture and help apply it to everyday life, guard doctrine and help the Church learn to teach one another. The above post is part of a series that is giving a brief over on what one receives in a non-residential church planting cohort with the Release Initiative. 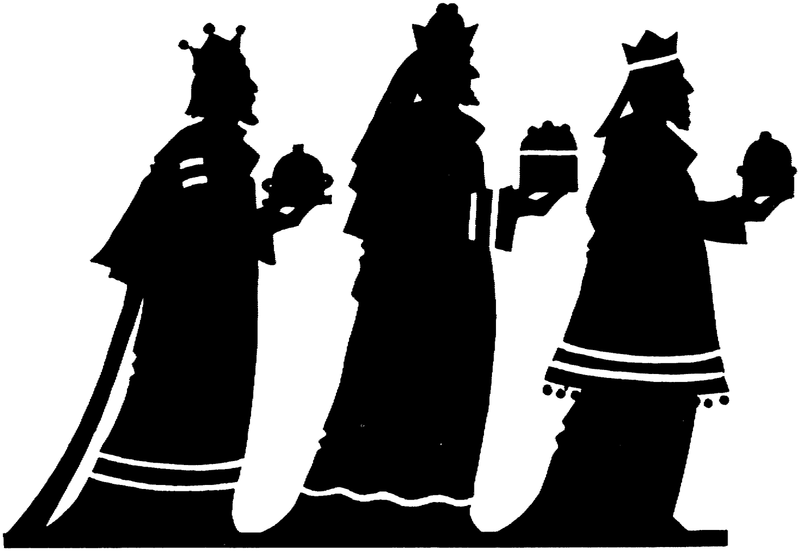 7 Then Herod summoned the wise men secretly and ascertained from them what time the star had appeared. 8 And he sent them to Bethlehem, saying, “Go and search diligently for the child, and when you have found him, bring me word, that I too may come and worship him.” 9 After listening to the king, they went on their way. And behold, the star that they had seen when it rose went before them until it came to rest over the place where the child was. 10 When they saw the star, they rejoiced exceedingly with great joy. 11 And going into the house they saw the child with Mary his mother, and they fell down and worshiped him. Then, opening their treasures, they offered him gifts, gold and frankincense and myrrh. 12 And being warned in a dream not to return to Herod, they departed to their own country by another way. This past Sunday I preached my final sermon of 2014 at Restoration Community Church in Raleigh, NC. Here is the link to the sermon. I am thankful to Restoration and Pastor Robin Phillips for the opportunity to fill the pulpit four times this past year. I apologize that it is not a video upload, but the church currently only does audio recording of sermons. If your church is interested in having me as a guest speaker in 2015 here is a link to my speaker request form. Work: Prayer is a duty and a discipline. Word: Prayer is conversing with God. Balance: Prayer is adoration, confession, thanks, and supplication. Grace: Prayer is "In Jesus' name," based on the gospel. Fear: Prayer is the heart engaged in loving awe. Helplessness: Prayer is accepting one's weakness and dependence. Perspective: Prayer reorients your view toward God. Strength: Prayer is spiritual union with God. Spiritual Reality: Prayer seeks a heart sense of the presence of God. Self-Knowledge: Prayer requires and creates honesty and self-knowledge. Trust: Prayer requires and creates both restful trust and confident hope. Surrender: Prayer requires and creates surrender of the whole life in love to God. Although I have been away from Wilmington, NC for over five years now, it is one of the cities that I consider home for many reasons. I still have many life long friends there and I regularly keep up with some of my former professors. One thing that is often masked in the beauty of the city between downtown and the beaches is the number of homeless and poor people within the city. A good friend go mine recently started serving as an urban missionary with Vigilant Hope, which is an organization created to help meet the needs of the needy and the homeless. If you are looking for a non-profit to give some end of the year donations to then this would be one worth considering in a city that needs it. Can you Help us? from Vigilant Hope on Vimeo. The below excerpt is a great reminder from Charles Spurgeon that God alone enlightens your darkness and that no matter what kind of darkness one is surrounded by that he can bring the light through in each situation. This has been an encouragement to me in the current season that I am going through and hope that it can be to you as well. For thou wilt light my candle. It may be that my soul sits in darkness; and if this be of a spiritual kind, no human power can bring me light. Blessed be God! he can enlighten my darkness, and at once light my candle. Even though I may be surrounded by a 'darkness which may be felt,' yet he can break the gloom, and immediately make it bright around me. The mercy is, that if he lights the candle none can blow it out, neither will it go out for lack of substance, nor burn out of itself through the lapse of hours. The lighters which the Lord kindled in the beginning are shining still. The Lord's lamps may need trimming, but he does not put them out. Let me, then, like the nightingale, sing in the dark. Expectation shall furnish me with music, and hope shall pitch the tune. Soon I shall rejoice in a candle of God's lighting. I am dull and dreary just now. Perhaps it is weather, or bodily weakness, or the surprise of a sudden trouble; but whatever has made the darkness, it is God alone who will bring the light. My eyes are unto him alone. I shall soon have the candle of the Lord shining about me; and, further on in his own good time, I shall be where they need no candle, neither light of sun. Hallelujah! The Christmas season is in full motion now and as a father of two little ones I know how easy it would be to just let the time go by without stopping to slow down and make lasting memories. I believe it is my responsibility to make it a fun season where we wait in anticipation for our coming Savior and enjoy some family fun. One event that we are excited to attend this year is Christmas at DPAC in Durham, NC. We have never had the opportunity to attend in the past, but hear great things about it. Check out the promo video below and go here for more information. DPAC Promo 2014 from The Summit Church on Vimeo. Are You Willing to Risk It All and Follow Jesus? A question that we should all be asking ourselves daily: are we willing to risk it all and follow Jesus? Video clips like the one below are what causes me to ask myself daily if I made the right decision in leaving India and returning to the US almost one year ago. The reality is that if we are not willing to risk it all and follow Jesus then there is something terribly wrong. Risking it all and following Jesus - A Future City - David Platt from IMB on Vimeo. Is Missions Voluntary or Compulsory Act? I am under obligation both to Greeks and to barbarians, both to the wise and to the foolish. So I am eager to preach the gospel to you also who are in Rome. Sometime back I read a book on spiritual warfare and missions and in one section the book focused on common strategies used by Satan in order to keep unreached people groups from ever hearing the gospel. One of Satan's most common strategies and he's doing a good job at it is to convince Christians that missions is optional. Most commonly this does not take much convincing because in place of international missions to unreached people groups there is the sole focus on a churches own community, programs and building campaigns. None of those things are necessarily bad and in many cases they are good things that are assisting in reaching people within the churches own community. The problem therein is when missions to unreached people groups is all but ignored as if it is optional. Ed Stetzer rightfully pointed out that "Missions was not a voluntary act for Paul. It was compulsory." The above passage from Romans shows the attitude that the Apostle Paul took towards missions and it was not one of being optional. Paul was transparent and showed how deeply burdened he was for the people, which led him to feel obligated to do something to impact the lostness of the people surrounding him. Our ministry focus should not be either local or global, but both local and global. One of the authors of the book, Jerry Rankin, said, "If a church does not have a plan to 'make disciples of all nations,' then they are shirking their responsibility for the mission of God." So, where are you and your church? Have you been viewing missions as optional? Do you feel the compulsion that Paul felt that all people would hear the gospel? The following is a quote on the importance of prayer from the journal of J.O. Fraser who was a missionary to China and by far puts anything that I have ever written in my journal to shame. I used to think [he continued] that prayer should have the first place and teaching the second. I now feel it would be truer to give prayer the first, second and third place, and teaching the fourth. For these people out here are not only ignorant and superstitious. They have a heathen atmosphere all about them. One can actually feel it. We are not dealing with an enemy that fires at the head only-i.e., keeps the mind only in ignorance. This enemy uses GAS ATTACKS which wrap the people round with deadly effect, and yet are impalpable, elusive. What would you think of the folly of the soldier who fired a gun into the gas, to kill it or drive it back? Nor would it be any more avail to teach or preach to the Lisu here, while they are held back by these invisible forces. Poisonous gas cannot be dispersed, I suppose, in any other way than the wind springing up and dispersing it. MAN is powerless. For the breath of God can blow away all those miasmic vapors from the atmosphere of a village, in answer to your prayers. We are not fighting against flesh and blood. You deal with the fundamental issues of this Lisu work when you pray against “the principalities, the powers, the world-rulers of this darkness, the spiritual hosts of wickedness in the heavenlies” (Ephesians 6:12). This should give us confidence [he urged] in praying intelligently for those who are far from the gospel light. The longer the preparation, the deeper the work. The deeper the root, the firmer the plant when once it springs above ground. I do not believe that any deep work of God takes root without long preparation somewhere. On the human side, evangelistic work on the mission field is like a man going about in a dark, damp valley with a lighted match in his hand, seeking to ignite anything ignitable. But things are damp through and through, and will not burn however much he tries. In other cases, God’s wind and sunshine have prepared beforehand. The valley is dry in places, and when the lighted match is applied – here a shrub, there a tree, here a few sticks, there a heap of leaves take fire and give light and warmth long after the kindling match and its bearer have passed on. This is what God wants to see: little patches of fire burning all over the world. "Now that you are back, What's Next?" Over the last year many of you have asked, "Now that you are back in the U.S., what's next?" This has been a good question that I could always give some general answer to, but not a specific answer. It has been a difficult season of transition, uncertainty, open and closed doors, and now a new opportunity. 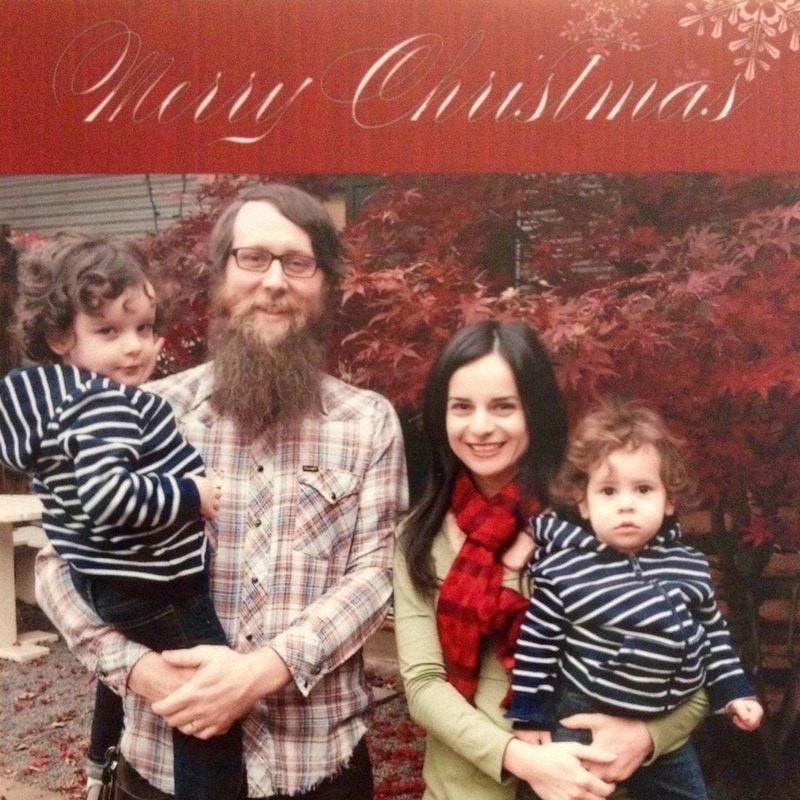 During this season I have learned a lot about myself, my marriage, and the God of the universe. On really bad days I questioned my calling and on really good days I was ready to see missional communities and churches started on every block throughout the U.S.
Much of what I have experienced has been described as "normal" for someone that was sent out overseas, but it has honestly been hard to fit back into the American Church because I sense that many sitting in the pews or stadium seats are Christ-followers, but not the Kingdom minded type of people that I was amongst for so long. Many seem content with their safe social clubs that genuinely love Jesus and each other, but struggle to reach out to those that look different than them within their own context. This is one reason I believe that God called us away from India and back to the American context, in order to help see the bride of Christ, the Church, embrace her calling as missionaries sent on mission into the world to every rural town, suburban cul-de-sac, and major city. A lot of my time this year has been spent networking with leaders from multiple denominations, house churches, traditional churches, mega and multisite churches, and churches made up of missional communities. Truthfully I have a love for every single one of them because I too, love the bride of Christ. Networking has allotted me many opportunities for pulpit supply preaching this year, which has been an incredible way to connect further with the Universal Church, work on a the art and craft of preparing and delivering a sermon, and assisted in providing for my family. Networking has also led me to join The Table Network as a regional director, primarily focused on the mid-south region. At the Table Network we desire to see people find freedom, rest, and wonder in the life-changing reality of the gospel. We are a growing network that desires to see new churches started within the fabric of every culture. At the moment this is one of many hats that I will be wearing moving forward. If you would like to learn more about the Table Network, our initiatives, or how you can become part of us then check out the website and feel free to contact me directly. 11 Church Planting "Do Overs" from Bob Roberts Jr.
Bob Roberts Jr. is the founding senior pastor of Northwood Church in Keller Texas and the author of the book The Multiplying Church , which I highly recommend. The other day I caught a series of Tweet's in regards to church planting and if he were to do it all over again. These are eleven nuggets of wisdom that young aspiring church planters like myself should take note of and learn from. If I were planting all over again . . . .
1. I would study & pray over the Sermon on the Mount & the Kingdom of God until I was broken & obsessed over it. 2. I would ask to be filled with the Holy Spirit & not get up off my knees until I was overcome & anointed. 3. I would ask God for a team & it would be multiethnic - only 2 others. 4. I would fast & pray over the city a week. 5. I would find the oldest Godliest believer in the city and ask what God has been saying to them. 6. I would head towards the area of the city that had 3 socio-comic groupings. 7. Our team would start a small group & practice Body Life - focus on our individual neighbors & do a community project. 8. Teach Kingdom - Hear & Obey disciples - City as grid - & 3 expressions of church. 9. We'd pray and fast over a hard place in the world to work. 10. We'd announce our community & global focus along w/introducing our intern who will be planting a new church our first Sunday. 11. I would not focus on church planters, but sons & daughters. I absolutely love the content and resources that are coming out of Soma Communities. They are a family of churches that are very similar in nature to what my own heart longs and desires to see in the church. Recently they released a new series, ordinary people, and my wife and I sat down and started to watch all of the initial ones released. This one was particular encouraging for Andrea as she is also a busy mom that desires to live with mission intentionality. For all of the moms out there that are busy with children, you are my hero, and know that God still wants to use you in this stage of life to see his mission go forward. Are You Practicing Faith in Community? Recently I was reading the story of when Jesus healed the paralytic in Mark chapter 2. And though I have read and heard this story many times over the years, I had never really paid attention to the fact that it says, "when Jesus saw their faith." Most likely the paralytic himself also had faith, but the verse implies that it was the faith of the friends that brought him to Jesus that was recognized. The implying of it being the faith of his friends being recognized as leading to his healing and his sins being forgiven made me think about community. If you have read this blog for any amount of time then you know how important I believe community is, specifically in a missional community type of setting where you can really live life on life with other people. This passage gave me one more reason when considering the question, "Why missional communities?" In the case of the paralytic it led to his healing and ultimately the forgiving of his sins. Many times we find our self in difficult situations or circumstances and to be completely honest we can not do it on our own. As much as we try we ultimately crumble at some point or we simply do not have the strength to carry our own burden. Yes, Jesus ultimately is our strength and carries our burdens, but he also designed it so that we would be in a community who would be our faith at times when we have none. I could give you countless examples of where this has been true of my own life. So maybe you are going through something right now or even need a physical healing yourself, remember that Jesus did not design it so that you go through this alone but with a community of faith around you. If you are like many then you may be trying to do life without this community around you, my advice, STOP and GO find community. If you are not in church that means getting into a body of believers. For many of my readers you are in a body of believers, for you that means getting plugged into a form of a small group, whatever that looks like at your particular church. My soul followeth hard after thee: thy right hand upholdeth me. Chasing hard after God should be our highest goal and first priority in life. I was greatly challenged with this a few years ago in my preparation to move to another country as a church planter. It struck me how often my highest goal had been to please fellow man in many ways such as coming off as a good communicator, a respected leader, or even at times a good blogger. But the truth is that if I am not chasing hard after God to please him as an audience of one then I have ultimately failed. Before I go any further I do want to point out that the only way in which one can chase hard after God would be dependent first on a work of enlightenment from God of himself to that individual. In the words of A.W. Tozer, We pursue God because, and only because, He has first put an urge within us that spurs us to the pursuit. Tozer further says, The impulse to pursue God originates with God, but the outworking of that impulse is our following hard after Him; and all the time we are pursuing Him we are already in His hand: "Thy right hand upholdeth me." So if God has originated a work in you then your natural response of that work is an impulse of following hard after Him. To do anything less would be to fall short of all that God has for you and your life. Remember that you are created to please an audience of one, God himself, therefore chase hard after that audience. And he gave the apostles, the prophets, the evangelists, the shepherds and teachers, to equip the saints for the work of ministry, for building up the body of Christ. I've been around the church culture and in ministry long enough to realize that in ministry one is always told the "what" of ministry, but not often told the "how." This carries over further into the entire body of Christ as most know that they are called to evangelize and make disciples, but often the how of doing those things are left out. This is the reason that when I am having a meeting with the group of church planters that I am pouring into we take time to learn the "what" but we also practice the "how." Our basis is the great commission, but instead of camping out on the great commission passage only, I also equip them with the tools to do the ministry and we also as a group practice the how. That means that I give them tools to share the gospel, we practice with one another, and then I send them out to do the real thing. I give them short-term and long-term discipleship tools. These guys not only know that they are to baptize, but we practice baptisms. Instead of learning that we are to teach from the Bible and hold one another accountable, we actually practice how to prepare a lesson and then how to teach it. The reality of what I am doing with these guys is developing them as leaders. It is not that they are not already leaders, but I am helping develop them further through equipping them for future ministry. Practically this looks similar to the five steps of leadership development given by Dave and Jon Ferguson in their book Exponential. 1. I do. You Watch. We talk. 2. I do. You help. 3. You do. I help. 4. You do. I watch. We talk. 5. You do. Someone else watches. So if you are one in an equipping role make sure that you are not only giving the people the "what" but also intentionally give and show them the "how." [Editor's Note: The following is a re-post of George Robinson's Sep. 28, 2010 blog. October 31st. For most Americans this date means one thing: **Halloween. ** Costumes, candy and trick-or-treaters spending to the tune of $2.5 billion making this holiday second only to Christmas in marketing revenue. But good Christians don’t celebrate Halloween. Or do they? Some Protestants may prefer to call it Reformation Day, for after all, that is the date that Martin Luther nailed his Theses to the door at Castle Church in Wittenberg back in 1517. That does pre-date the first usage of the phrase “All Hallows Eve” (commonly known now as Halloween) which didn’t emerge until some 40 years later in 1556. Ironically, most good Christians that I know won’t be celebrating either Reformation Day or Halloween. Instead, they will be showing support for their local church by attending a “safe and sanitary” alternative called a Fall Festival. This alternative allows good Christians to invite their neighbors and friends to come to the church and get candy, play games and have some good, clean Christian fun. No pagan witches and goblins allowed. But they can dress up as David or Moses or some other biblical character. All the fun without the pagan revelry, right? I would like to propose another alternative – that good Christians should indeed celebrate Halloween. I think that they should stay home from their church’s alternative Fall Festival and celebrate with their pagan neighbors. Most of them wouldn’t have come to your Fall Festival anyway. And those who did would’ve stopped by briefly on their way to “real” trick-or-treating. I’m sure that some of you reading this blog might be more than a little unhappy with my proposal at this point, but stick with me for a moment. : The reason I propose that good Christians celebrate Halloween and stay home from the “Christian alternatives” is that Halloween is the only night of the year in our culture where lost people actually go door-to-door to saved people’s homes . . . and you’re down at the church hanging out with all your other good Christian friends having clean fellowship with the non-pagans. Living with missional intentionality means that you approach life as a missionary in your context. I lived with my family in South Asia and we had to be creative and intentional in engaging our Muslim neighbors. We now live in the USA and we still need to be creative and intentional. That’s why for the past 2 years we have chosen to stay at home and celebrate the fact that Halloween gives us a unique opportunity to engage our neighbors. In fact, last year we had over 300 children and 200 adults come to our doorstep on that one night. And we were ready for them! We had a tent set up in the driveway and gave away free coffee and water to the adults who were walking with their children. Our small group members manned the tent and engaged them in conversation and gave each one of them a gospel booklet (“The Story” gospel booklets are available with a Halloween distribution rate here: http://story4.us/offer). The children ran up to our door while the parents were waiting and got their candy, along with gospel booklets (even if they were dressed as witches or goblins!). In all we gave away more than 500 pieces of literature that night, each with our name, e-mail address, and a website where they could get more info. I sure wish more good Christians would celebrate Halloween this year by staying home and meeting their pagan neighbors – an option which I believe surely beats the “good Christian” alternative. John Simpson and Edmund Weiner, Oxford English Dictionary 2d. ed. (London: Oxford University Press, 1989). A conversation that I regularly have with church leaders revolves around community. Many within my own background are part of small group ministries and some missional communities, but it seems like many are uncertain on how to form new groups or multiply their existing group in a healthy way. Whether it is a small group, missional community, or a new church forming I believe that there are some core foundational principles that are the same. I am thankful for Soma Communities and the gift that they are to the larger church. They recently released a video series on how to form missional communities and gave away the first video. I wish that I could make every single small group leader that I know watch this because it is worth the time and investment in my opinion. Watch this preview training session below and decide for yourself. 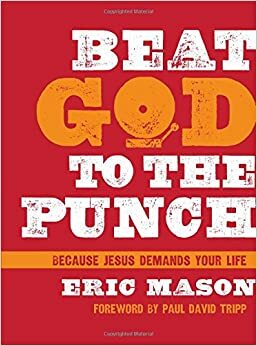 Dr. Eric Mason has recently released his newest book Beat God to the Punch: Because Jesus Demands Your Life. In this book, Dr. Mason encourages readers to beat God to the punch by willingly submitting their lift to the lordship of Jesus Christ and seizing a grace-filled life. This is a book that's like a steroid shot in the arm for church leaders and laypeople, and a challenging read for nonbelievers to consider placing faith in Jesus. 1. Share a link of this post via Facebook or Twitter and tag me in the post or show you shared it in the comments section below. 2. Leave a comment below, briefly sharing how . 3. The winners will be selected on October 22 and then the books will be shipped out.